2. This place is literally a hidden gem, and if you don’t know exactly where to look, or are rushing you’ll miss it. 3. Since it’s hidden, you know you’re not going to be dining with a crowd. 4. It’s a small charming restaurant that comes with a garden which can also be used for outdoor dining. 5. I loved how even though the main restaurant is small, its not choked up. They utilized their space wisely. 6. They also claim not to own a microwave, so everything is fresh! 7. Their menu is simple, and I guarantee there’s something for everyone. 8. They have a Sunday buffet for brunch. 9. Their meals are yummy, well ours was. My dad and I enjoyed it and I think they deserve 8/10. 1. 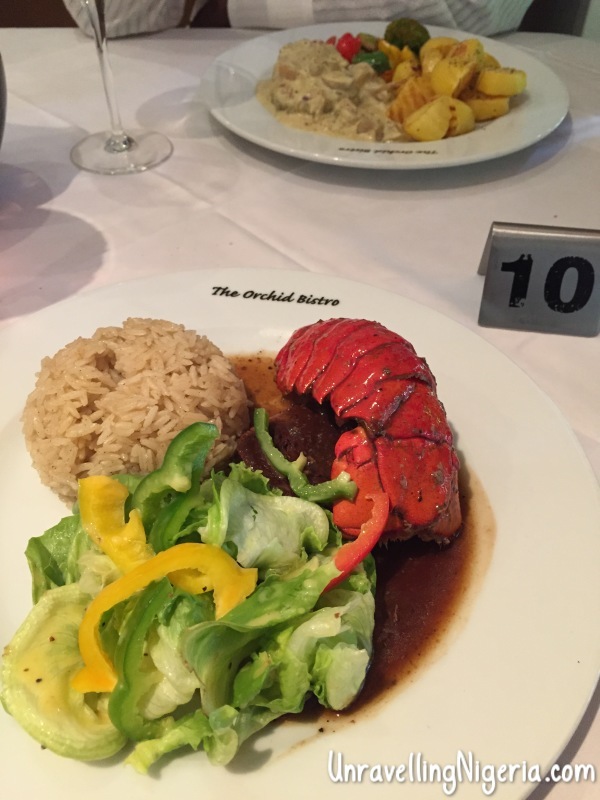 Surf n Turf – This was a combination of lobster, steak and rice. The food was fantastic as stated earlier, and even though it’s a small place, we (including other diners), were able to have conversations without feeling like the other group was being noisy/listening in. The only downside was that our order took a little while to come, and I also wasn’t too excited that I couldn’t pay by my card. Thankfully there are ATMs across the road, so you can quickly withdraw money. They are open 7 days a week, Sun – Thurs 7am-9pm, Friday 7am-11pm & Saturday 7am- 10pm. They also offer take out and catering services, and parking is available in the complex. 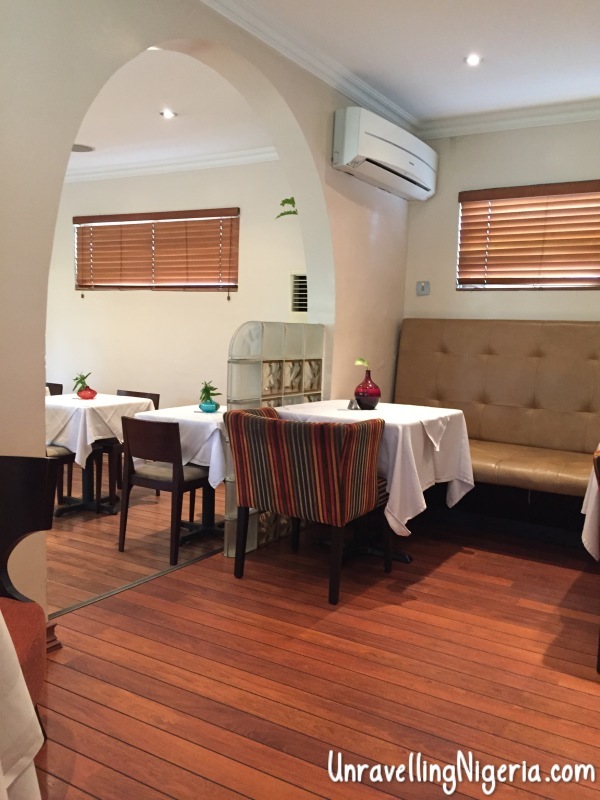 If you want to visit, head over to Greenville Village, 58A, Isaac John Street, GRA, Ikeja, Lagos. You can call +23417739090 or email them at theorchidbistro@mac.com for more information. Have you been there? Lets know your thoughts, and check out a few pictures from there. I totally agree, had a date there once and even though that didn’t work out, I intend to go back! Previous Previous post: Kids Just wanna have fun.